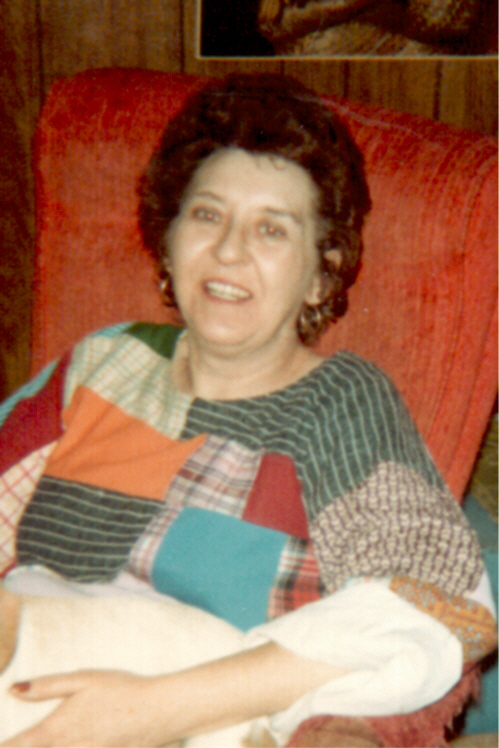 Cathleen Ann Kelly, 80, passed away at her home in Billings, Mont., on Thur., Dec. 22, 2011. Cathie was born on May 16, 1931, in Wolf Point, Mont., to Hugh and Rose Marron. She married Jim Kelly on July 28, 1947. They moved west to Cascade, Idaho, and then moved to several small towns in eastern Washington: Hunters, Garfield, and Winthrop. They eventually moved to Concrete in 1966, where Cathie lived until Oct. 2011, when she moved to Billings. Cathie and Jim were married for 47 years until his death in 1994. Cathie didn’t remarry or even date, for Jim was the love of her life. She was also preceded in death by her son Jeff, in 2003, and by her brother Jack in 1999. Cathie was a homemaker and after the oldest four children left home, she sold Avon products—lots of products, as evidenced by the many Avon boxes that are full of items in storage. Cathie was very strong willed and unwaveringly firm in her values and opinions. She was very tough and determined, but also fundamentally kind and nurturing. Forever compassionate, she gave strength to the young and weak. She was positively resilient in the path of her life. She was intelligent and well read, and had a great sense of humor even as her health declined and she was in pain. She was undeniably entertaining and will be missed. Cathie is survived by her daughter Marcia of Seattle; sons Conn (Vicki) of Billings, Mike (Dawn) of Billings, Kevin (Linda) of Littleton, Colo., and Kris of Concrete; numerous grandchildren and great-grandchildren; and older sister Rosemary Kelly of Billings. She also is survived by many other relatives. Per Cathie’s wishes, cremation has taken place. A memorial service was held at 3 p.m. on Tue., Jan. 3, 2012, at Cremation & Funeral Gallery. Arrangements are by Cremation & Funeral Gallery. Condolences may be sent to the family through “Our Families” at www.cfgbillings.com.